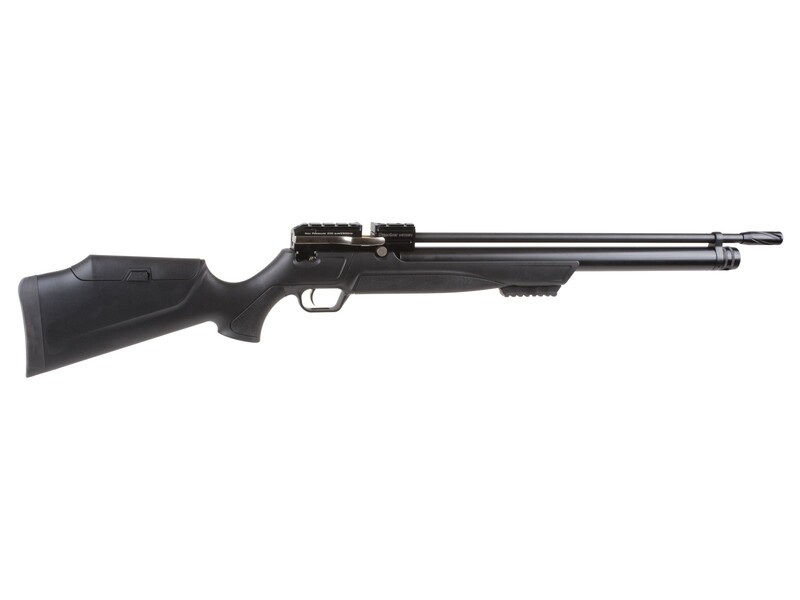 The Kral Arms Puncher Mega PCP sidelever air rifle is a feature rich, competitively priced Turkish repeater. Featuring a sleek sidelever this PCP is a smooth shooter, ideal for backyard target accuracy and pest removal. The ergonomic synthetic stock is ambidextrous and balanced for comfortable shooting. Speaking of comfort, the cheek piece is adjustable for height so you can achieve perfect alignment with your scope setup. Choose between shrouded or unshrouded barrel based on your need for quiet shooting. Things I liked: Very nice rifle to shoot. Got the .25 cal and the balance is good for hunting. very smooth action when cocking it. Things I would have changed: nothing, rifle is good as it is for me. 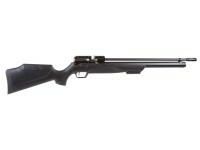 What others should know: rifle shoots very good, Recommend buying this rifle. Even shoots the non leaded Predator GTO .25 cal right on target. Things I liked: This gun is a real shooter... 1/2" groups at 35yrds with crossman premiers at 3/4 power. Easily gets 50-60 consistent shots on a charge. Very quiet in the shrouded configure. What others should know: Lever cocking is smoooooth... Scope rail makes it easy to mount a scope. Great fun for under 5 bills. How does one get the shrouded configure? Things I liked: I like the looks and finish of this rifle. The side lever cocking is smooth as butter and the fact that it comes with a single shoot tray and two magazine clips is a plus. Accuracy is pretty dawn good also. The adjustable power knob stays put without a chance of accidental rotation during shooting as it is stiff to adjust. What others should know: I mounted the 3x12x44 leepers scope w/ medium rings for 30 mm tube. That's the minimum , if you use the 50 0r 56 retical you will have to use the high mount rings w/ a compact scope. JSB 18.13, air arms 18.4 and crosman premiers do a good group w/ JSB 18.13 grouping best. I'm still testing at this stage as my range is 30 to 35 yards. All I can say now is Wow, what a gun. If using a hand pump to fill do you need the adapter (shown in the accessories below) for the fill probe which is included? 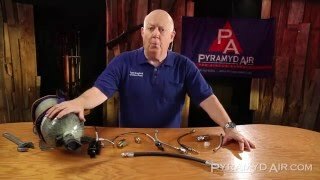 Which way on the power adjuster is full power or low power? There is no markings. Will spare air cylenders be available like the Hatsan AT44? The cylinders are not removable.